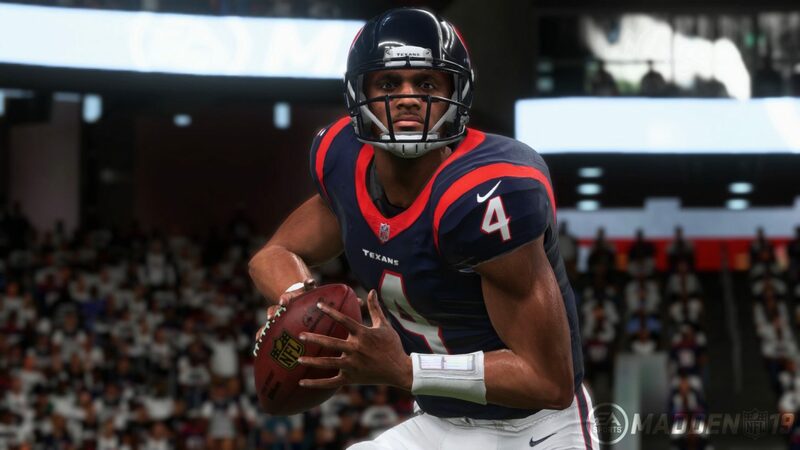 Improved defensive AI play calling headlines the change list from the latest patch to Madden NFL 19. The update went out today and also includes the ability to play MUT Squads vs Friends, along with enhancements to pass coverage and field goal attempts. ♦Updated defensive play call AI for CPU-controlled teams. DEV NOTE: AI-defensive play calling will now more closely match the tendencies each NFL team has shown over the course of the season up to this point. ♦Added logic for Ice the Kicker so that when the kicker is iced by the opponent, the iced state will remain intact for the remainder of that drive. DEV NOTE: This is an improvement to the Ice the Kicker logic to prevent the offense from running a wasted play or calling a timeout of their own to remove the iced state and does so by simulating the assumption that continuing to run a kicker on and off the field multiple times before a critical kick would in and of itself put him in a pressure-kick state. ♦Re-implemented previous version of Franchise Player-lock Camera. DEV NOTE: Due to community feedback about difficulties seeing the backfield action as a defensive player with the MUT Squads camera, we have reverted back to the legacy player-lock camera that views the field from the defensive perspective for Franchise mode and player-lock. ♦Added the ability to play Squads vs. Friends. DEV NOTE: Squads Play-a-Friend is a new tile on the Squads hub. You first choose if you want to play in a 2v2 or 3v3 game. A team of two cannot match up against a team of three. Once you select the event, the party leader will be prompted to enter a password when they ready-up. Coordinate with your opponents and have them use the same password. Once you begin matchmaking, you will only match against another team using the same password.